A Galway designer’s ability to recycle materials into original craft products has proved a hit in Sweden. 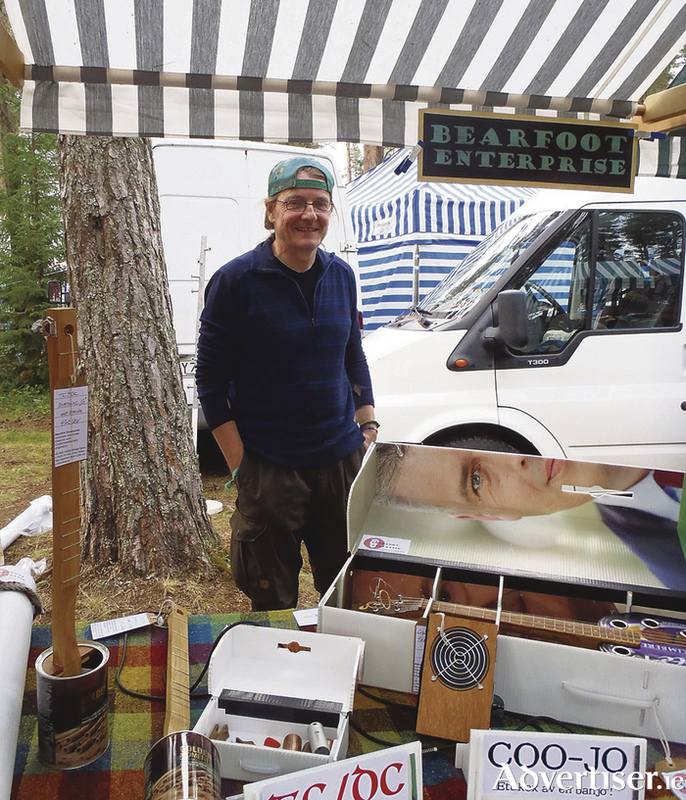 Urs Harttung, owner of Galway-based Bearfoot Enterprises, participated at the Urkult folk festival as part of an EU co-funded project. Originally from Switzerland, but now based in Headford, Harttung is a designer, producer and educator who makes recycled crafts with an Irish touch. Up cycling wood and other materials, he uses biscuit tins to create a banjo-like musical instrument which proved hugely popular with festival-goers. “Participating in the Urkult folk festival gave me the freedom to be proud of my craft and to present it to a whole new audience. I’ve received invitations to come back and give two workshops and there was a lot of interest in my products that I’m very hopeful will lead to future orders,’” he says. Harttung was one of eight craftspeople from the west of Ireland, Northern Ireland and Finland to participate in Urkult through the project which supports the development of the creative industries sector across Europe’s Northern Edge. He was joined on the trip by Kevin Lynch (Airmid Irish Natural Skincare ) and Sallyann Marron (Sallyann’s Handmade Bags ) from Clare. The project operates the www.MyCreativeEdge.eu website and in the west of Ireland is implemented by the Western Development Commission and NUI Galway.